The 553th YTMC regular meeting was held on Aug. 3rd. 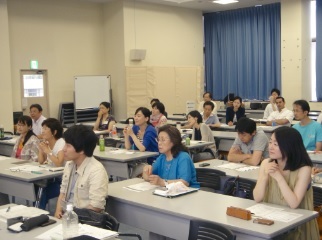 This time, we had so many members and guests at this meeting. Because the English champion TM Tamura visited YTMC! Fortunately, we heard the champion’s great speech and workshop. Wow!? Japanese champion TM S.K also visited! 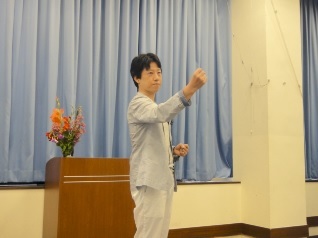 Many of us heard the champion’s speech once already in Nagoya Spring Conference. The wonderful speech should be heard again and again. The every time we hear it, the appreciation enhances. 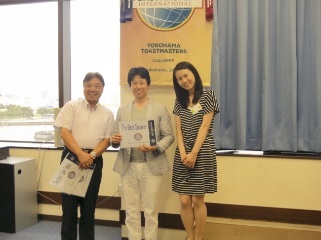 It was such a pleasure to invite TM Tamura to the YTMC venue. 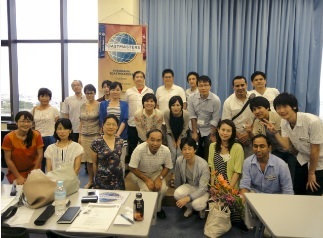 Yokohama members as well as 27 guests heard the precious stories behind the winning speech. 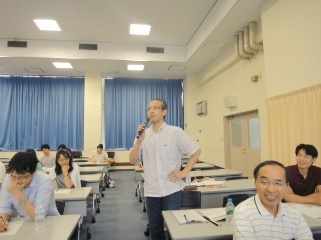 In addition to it, TM Tamura kindly offered us some tips for speech preparation. I am very happy that YTMC officers put this successful meeting together. I wonder what exciting meetings will be planned by President Nirupam and his team. The English champion TM Tamura! All members and guests again!